Make your 2017-2018 Ford F-150 SVT Raptor Hood stand out from the rest with these unique Fade Hood Graphics. This kit is PREFIT and ready to install in one of two (2) finishes - NO TRIMMING required! Digitally printed with our DuraCOLOR graphic technology, kit is manufactured with premium automotive grade vinyl film materials. As a further step, graphic is covered with a Matte or Gloss 2.5 mil clear laminate which provides protection from miles of abuse. 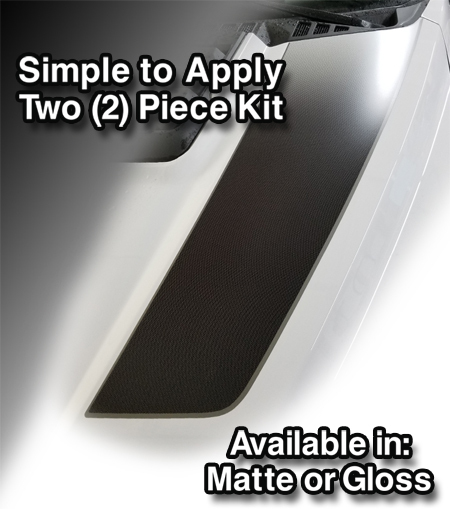 Kit is specifically made for the 2017-Current Ford F-150 Raptor factory Hood and will not fit any other vehicle. Disclaimer: NOT exact match to OEM Factory Graphic(s); Border is Dark Grey rather than a Metallic Grey due to Manufacturing differences.